The best thing about this dismal weather is that I’m finally getting to use my umbrella from The Standard hotel. 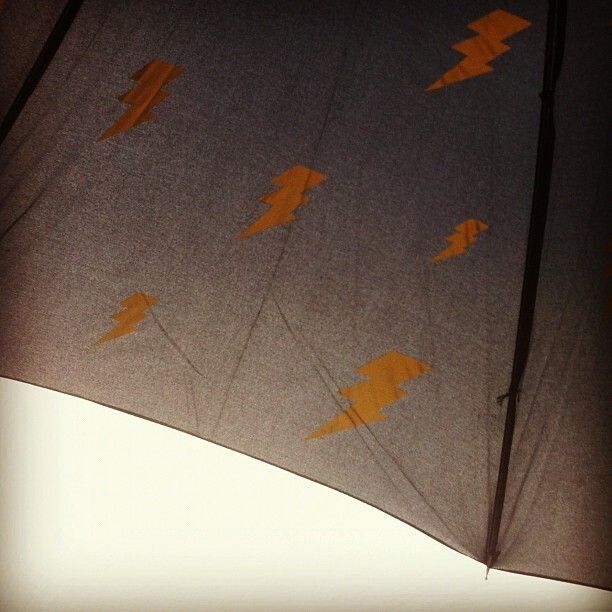 It may look like a simple, matte black golf umbrella but unfurl this bad boy and you’re treated to the sight of a wealth of golden lightning bolts. Secret umbrella fun without looking like a knob with a wacky ~brolly – god bless the Standard.